Description: For advanced beginner and intermediate stitchers. Description: The third in a series of three Cheryl Shaeffer designs especially for Rainbow Gallery. 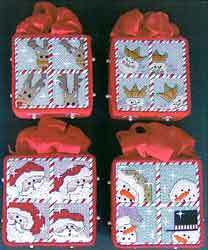 A set of four ornaments entitled 'Is it Warm Inside', 'Who's Been Good', 'Nutcracker' and 'Where's Santa?'. Includes detailed stitching instructions, diagrams and charts. Description: 'Sea and Sky' is designed for Rainbow Gallery by Sue Dulle. It can be finished as a pillow or box-top and could also be stitched as one quarter of design,then rotated to stitch the other sections. Includes detailed stitching instructions and charts. 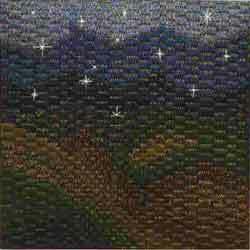 Description: 'Mountain Sunrise' is the first in the bargello series "Day into Night". 'Seaside Sunset' and 'High Desert Stars' are the companion pieces. 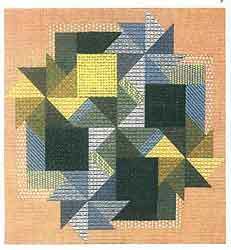 Includes basic bargello instructions, stitch patterns and master chart. 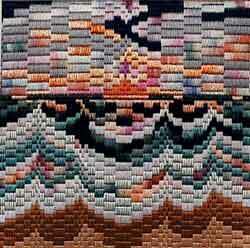 Description: 'Seaside Sunset' is the final design in the bargello series 'Day into Night". Mountain Sunrise and High Desert Stars are the earlier pieces. 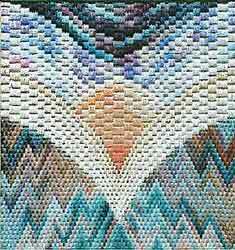 Includes basic Bargello instructions, stitch patterns and master chart. 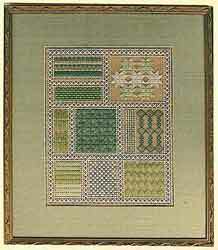 Description: 'High Desert Stars' is the second design in the Bargello series 'Day into Night'. Companion piece to Mountain Sunrise and Seaside Sunset. 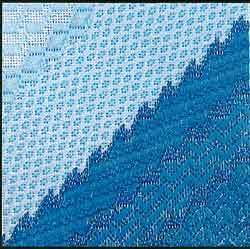 Includes basic bargello instructions, stitch patterns and master chart.